Sparky used to say there’ll be nights like this. Just have to laugh it off. Alex Blandino pitched an inning and struck out two major league hitters. That’s more than Mahle and Rainey struck out added together. Scooter Gennett and Jesse Winker homered. New Trade Rumor Makes sense. Rumor: Cleveland Indians have inquired about Alex Blandino for bullpen. Joey Votto is in his 11th full season and has a higher career adjusted OPS than Hank Aaron, Joe DiMaggio, and Willie Mays. Think about that for a minute. I so dearly love the save statistic. Plutko gives up three earned runs in four innings in a game his team wins by 15 runs and he gets a save. Agree. My interpretation of that is they already have an offer for Harvey they know they’ll accept. But I with they would bring up BobSteve, and see what he can do. We know what Homer can do, give up too many Homers. Kids, this series reminds us that sometimes you’re the bug, sometimes you’re the windshield. I mentioned the score to my 7 year old after the 4th, she aptly said “there should be a mercy rule.” Put that into the next CBA. Besides pitching performances, 0-9 with RISP. Looks like Rainey should not be in the bigs for the time being, wonder what was wrong with Mahle. Bet ya, this is less painful for the Reds, then yesterday was for the Indians. Well, we did learn a few things tonight, so it wasn’t a total loss. 1. Dilson Herrera is not an outfielder. 1a. In that same vein, get Shed Long some playing time and game experience in the OF at AA before going to AAA. 2. Unfortunately, Tanner Rainey is not a ML pitcher, yet. He needs more seasoning. 3. Scooter Gennett’s shoulder must be bad, since they didn’t let him pitch the last inning. 4. Blandino is a pretty good non-pitcher pitcher. In games like this, we’ll see him again. Brantley said he threw a knuckleball up there a few times. 5. The all-star break is coming at a good time for the bullpen. On to St. Louis to take 2 of 3 from the Cards. Then a little rest. A couple of touchdowns and we’d have been right back in this game. Except for maybe Lorenzen, you’re right about Said No One Ever! That was good Steve. The Indians seemed to come in this game with, maybe, a little extra incentive to win this game. Maybe they felt embarrassed by the loss yesterday. Losing the series was also an incentive to pour it on. Not always, but starters giving up walks and runs in the early innings sets the tone of the game. Says a lot when a coach sends in a guy like Blandino to pitch and he is very successful. Makes me agree with so many of you writers and commenters on RLN that most problems pitchers have at the major league level is in their head not their arm. True of the Reds at least. Mahle was due a stinker.All young and old will and do have them.Doesn’t change nor should it what he is done in the majors in less then a full season of starts.Tribe is better then us because their record says so but we still won the series at their park. Yes, the DH is much preferable to having pitchers bat. It also allows pitchers the opportunity to stay in a game longer if theyÃ¢â‚¬â„¢re pitching well because you wouldnÃ¢â‚¬â„¢t need to PH for them. HarveyÃ¢â‚¬â„¢s spot should be earmarked for Stephenson. BobSteve needs to stick on the roster next season and needs the opportunity to show what he has for half a season at the ML level. Giving Bailey starts is a waste of opportunities and hamstrings the future while not making the present better. More mismanagement by the Reds. I think it is ironic that the increased level of game micromanagement is seemingly becoming the force driving many former die hard DH opponents toward acceptance of DH since preservation of in game “strategy” was the reason many opposed the DH in the first place. I think people will gradually come around to it regardless, but it is amazing what a tinkerer like Riggleman can do. Kind of reminds of the Bob Boone years. Been saying it for years, AL fans don’t even consider getting rid of the DH. No one cares that the pitcher isn’t hitting. The only ones that even talk about it anymore are some tiny contingent of (generally older) NL baseball fans. I suspect that group gets smaller and smaller each year. Eventually, the league will pull the plug on the basis of leveling the playing field, but they it might as well be because the product on the field will be better. The DH is part of baseball in most competitive kids leagues, all the way through high school, college, and early minor leagues. Although I hope we start going back to the days where kids don’t specialize as much early in their careers, many pitchers hit so infrequently that its become borderline comical to watch them try. Yeah, its fun watching an athlete like MIchael Lorenzen hit, but for every Michael Lorenzen, there are more Johnny Cuetos batting a career .104. Hey that’s me. Older fan that will stop watching NL baseball if they bring in the DH. That’s my position and I’m sticking to it! I’m with you on that, Gonzo. Baseball should be a game of players who hit the ball and throw the ball, not just one or the other. Players Union will never allow the AL drop the DH and matter of time before the NL implements it. I am on the fence with it and it does give bigger markets an advantage because they can absorb the salary of an extra position. The main premise of it was to not only increase offense & extend careers of the Killebrews & Yastrzemskis but to keep starting pitchers in the game longer. Palmer, Ryan, Morris would average 250-300 innings a year and pick up about extra 4-5 wins due to able to stay longer in games where the book said pinch hit when down 3-2 in the 6th. It has lost its original premise since starting pitchers average about 5 innings in both leagues and not many AL teams have a full time DH anymore and use as a rotating position to give a day off for a regular. Wonder what the Reds get for Harvey?Wonder what happens if Homer still struggles?Wonder if Bob will ever get another chance or will he continue to gave to stay after school and write I will not walk hitters 1000 times.The saga continues but wouldn’t you just love to set in on those meetings behind closed doors? Great news you don’t have to throw 97 mph to strike people out. Seen where 2 other position players pitched last nite for a total of 4.2 innings. By the way I don’t trust anything the FO says as long WJ still has B.C. ear. It has to be a dollars and cents business decision to bring Bailey back to the rotation. Somebody must have a scheme or scenario wherein the total amount owed him would NOT be a sunken cost. Bailey’s option buyout on 2020 is $5M; so, even that isn’t insignificant if they could cook up a deal next year at this time where they paid out the balance of his 2019 salary but the receiving team was responsible for the option in the off season. We hear that these long term high salary contracts are rarely insured any more because the cost of the insurance itself is more prohibitive compared to the risk of paying a guy not to play. However, maybe the Reds have some sort of coverage on the back end of the contract that’s been there all along that’s been there all along and could still be in play??? There just has to be something beyond just not wanting to pay the guy for not playing when they knew that was a very possible risk all along. And as an afterthought, since the simplest explanation is often the most nearly correct explanation, when would the payout be due to Bailey if he were to be DFAed? Maybe the Reds simply don’t have $35M-40M laying around in the petty cash fund to pay him off on a short suspense. I don’t think it paying him for not playing, it is giving him another chance to prove he can pitch. The risk is, he is horrible and the Reds improve a couple of spots in the draft. The reward is that Bailey can actually pitch and can either be a useful member of the rotation or be traded next year. The Reds aren’t making the playoffs and they are paying Bailey. If he doesn’t play those are known outcomes that can’t be changed. If he plays there is a good chance those are the same outcomes, but there is a chance just like with Harvey that he can regain some of his previous success. I don’t really disagree with this; but, I also believe they’ve got their eye on the gauge as they incrementally pay him down. They are paying about 2/3 of his salary this year on regular paydays and owe him the balance in November (per Cot’s contracts). There has been publicity before about such arrangements and how they shift the balances back a year on the books. So, I think when he gets paid is something they are aware and looking to manage too. And if he is pitching well enough at the 2019 deadline and they have a chance to bundle in a middling prospect they’ve decided isn’t going to fit for them and can knock a couple or several million off the final bottom line pay out in the process, they’ll trade him for next to nothing and do so. I wish the Reds could be done with Homer. 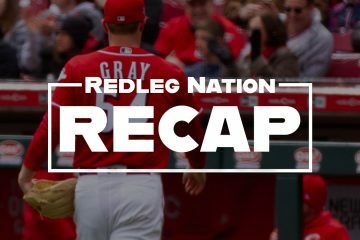 The biggest thing that turned the Reds around this season was probably Homer and Finnegan leaving the rotation and DeSclafani and Harvey joining the rotation. The Reds absolutely should trade Harvey. ThatÃ¢â‚¬â„¢s not what IÃ¢â‚¬â„¢m saying but they will be trading away a guy thatÃ¢â‚¬â„¢s given them a 3+ ERA and bringing back the 5 or 6 ERA. In my opinion it should be Stephenson replacing Harvey to see what he can do the rest of the season but I guess thatÃ¢â‚¬â„¢s not a huge deal. What IÃ¢â‚¬â„¢m more concerned with is the 2019 rotation. Unless one or two of them improve, as of now I donÃ¢â‚¬â„¢t see how you could go into 2019 with Bailey, Castillo, and Romano in the rotation and expect to push for the playoffs. 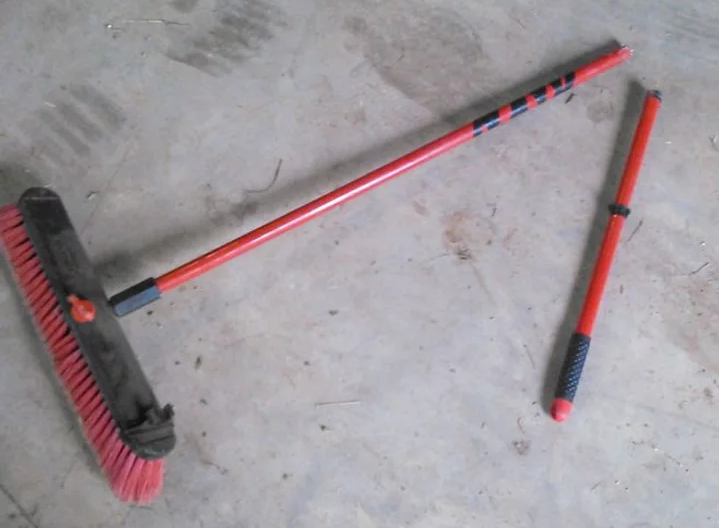 Everyone seems to agree the Reds need 2 sp upgrades for next season. I just hope that happens and Bailey is only in the rotation in 2019 if he is one of the best 5 after 2 new SPÃ¢â‚¬â„¢s are brought in. Since the new CBA turned the Luxury Tax Threshold into a functional soft salary cap, I think we will eventually see some sort of buyout system implemented at for injury related situations. In the NHL for example, the buyout rate is $0.67 on a dollar. I suspect the team and Bailey both would be satisfied to settle for ~$25M right now and get on with their lives as opposed to dancing this dance for another 14-15 months. This was a game that Lorenzen could have gotten an opportunity to play OF. Would have been fun to see! Yeah, it would have been fun to see that. I’m guessing they don’t really want him running around playing OF just out of injury concerns. Let alone, they probably don’t want to have to deal with the fallout if he made a truly Hamiltonian type play. As far as I can tell, even Ohtani does not play a defensive position except for pitching. Hey I like Homer. He had some great moments in a Reds uniform. But putting him back in a major league rotation during a season in which we are supposed to be moving from a rebuild into competing makes absolutely no sense to me… Why can’t they put him in the bullpen and start some young guys. I’d rather watch young pitchers with potential upside get rocked for the rest of the year, than watch an older, injury prone pitcher struggle. If he won’t agree to go to the bullpen, I’d release him, I think. This is not good at all but money owed talks.Hopefully he turns it around and along with Disco he anchors the staff but its a reach for sure.He will continue to get every opportunity possible because he just will.Nobody will trade for him regardless unless a bunch of money goes with him.Personally the only way he benefits the Reds is that he pitches out of the pen and watches a young guy start.Who knows he may become John Smoltz but the money owed is still what it is. I think the time has pasted for Bailey to be in the starting rotation. He should work out of the bullpen, and if he can’t emotionally handle that, he should be released. The Reds must move forward. Pasted is fitting. Freudian slip, perhaps? The OF rotation is alive and well…at least alive. It’s certainly not well and we can only hope that it’s on life support until the break. 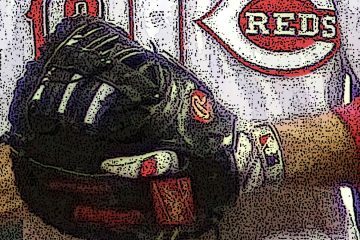 7/12/18 Cincinnati Reds optioned RHP Tanner Rainey to Louisville Bats. 7/13/18 Cincinnati Reds recalled RHP Austin Brice from Louisville Bats. 7/6/18 Cincinnati Reds signed RHP Michael Byrne.